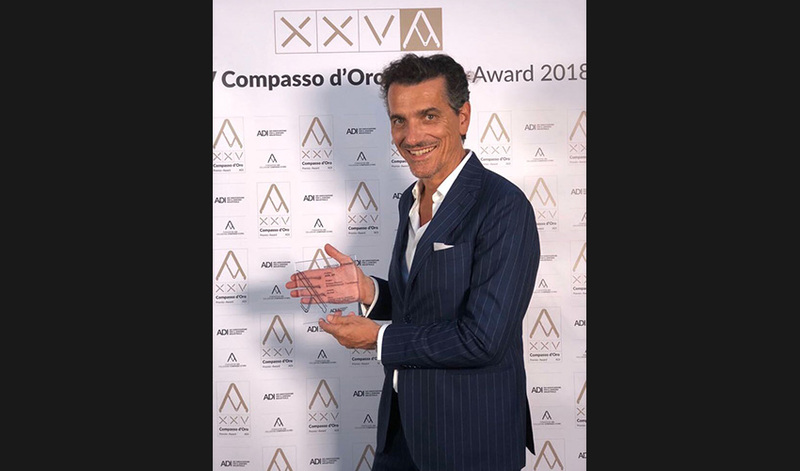 The innovative Arrital kitchen system, result of the project collaboration between designer Franco Driusso and starred chef Andrea Berton, AKB_08, has obtained the honourable mention in the prestigious XXV Compasso d’Oro ADI award. 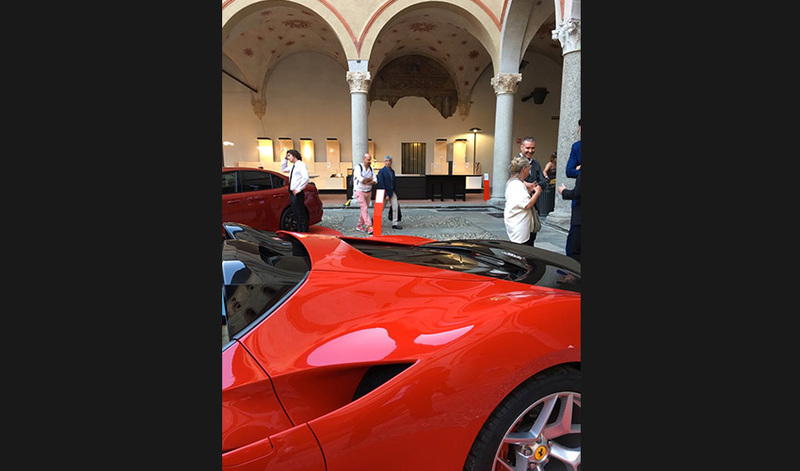 The award ceremony took place yesterday at the Castello Sforzesco in Milan in the presence of the authorities, the ADI members, the ADI foundation, the audience, and the press. 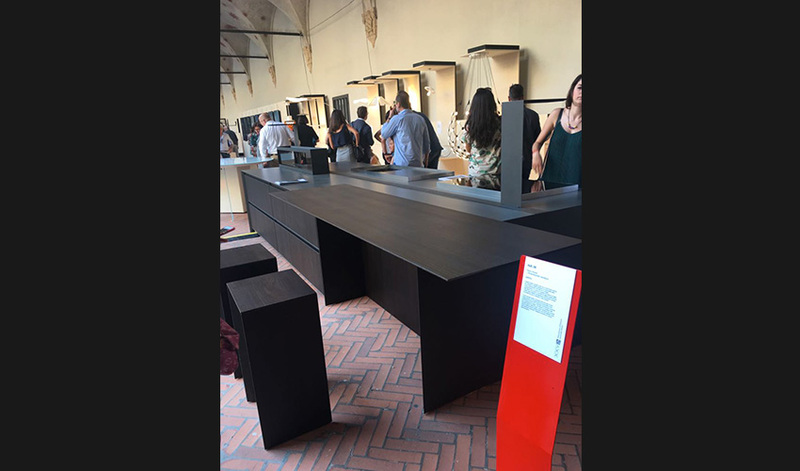 An international recognition that confirms the exceptional nature of the Arrital project that wanted to bring the functionality of professional kitchens into a domestic composition, combining it with a very high aesthetic and design value, in perfect harmony with the typical style of the company. 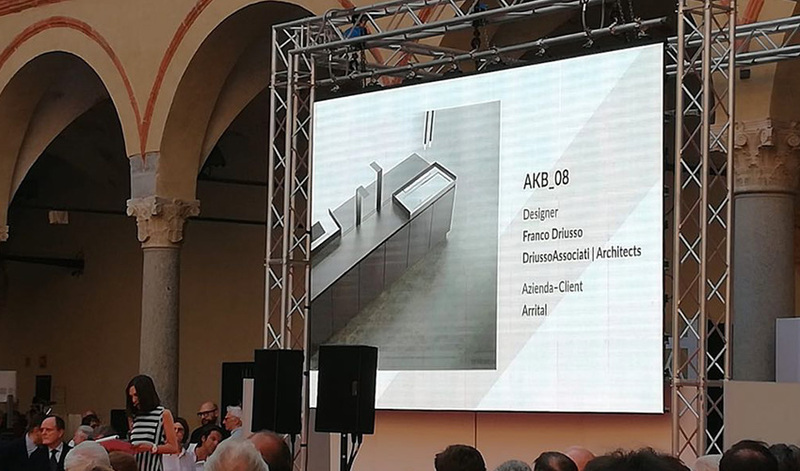 AKB_08 (Arrital Kitchen Berton_08), where the “B” indicates the partnership between the Friulian company Arrital Cucine with the chef Andrea Berton, presented for the very first time at Eurocucina 2016, had already won the prestigious “Good Design Award 2016”, one of the most important international awards for design excellence, given by the Chicago Athenaeum: Museum of Architecture and Design and The European Centre for Architecture Art Design and Urban Studies. 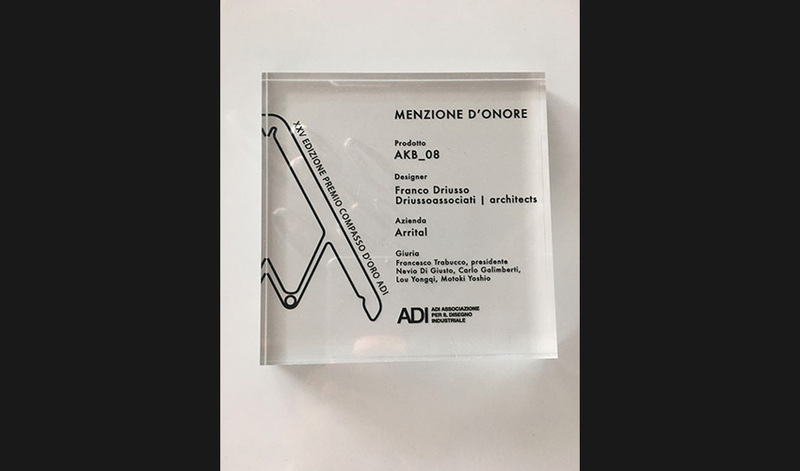 After being selected for the prestigious book ADI INDEX 2017, a volume created by the Association for Industrial Design that annually picks the most ambitious and original design projects, will now be the protagonist of the exhibition of products participating in the XXV edition of the Compasso d’Oro award, open to the public at the Cortile della Rocchetta, at Castello Sforzesco from 21 to 26 June 2018. 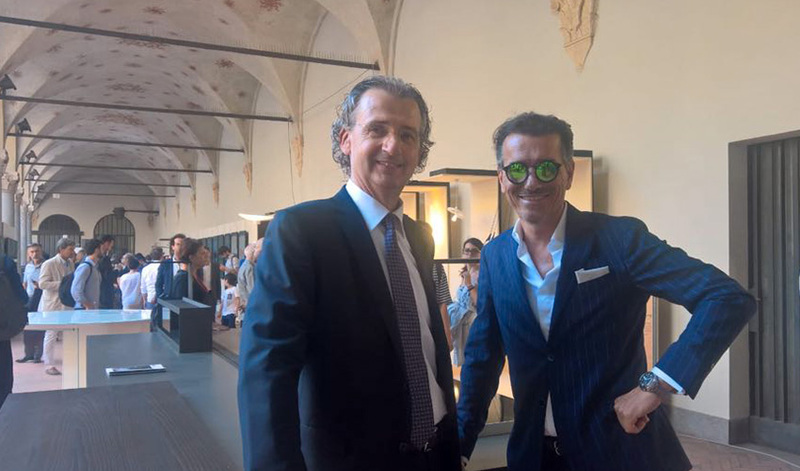 AKB_08 is from now on part of the Compasso d’Oro ADI Collection, declared on 22 April 2004 by the Ministry of Cultural Heritage and Activities to be of “exceptional artistic and historical interest”.